Through service, outreach, and development, St. Vincent Hospital Foundation promotes and sustains the highest level of healthcare for Lake County and our community. 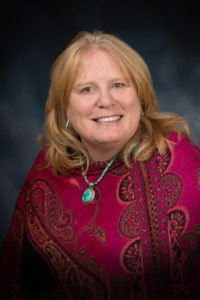 Your generosity supports sustainable healthcare in rural Lake County, Colorado. It allows us to continue making progress towards a better tomorrow—and provides equipment and service that may one day help you, your family, and your friends and neighbors. 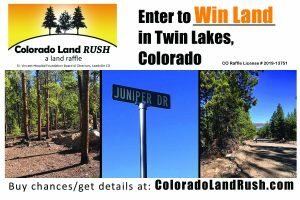 .46 acres of residential land high in the mountains of Twin Lakes, Colorado. Near year-round outdoor recreation. 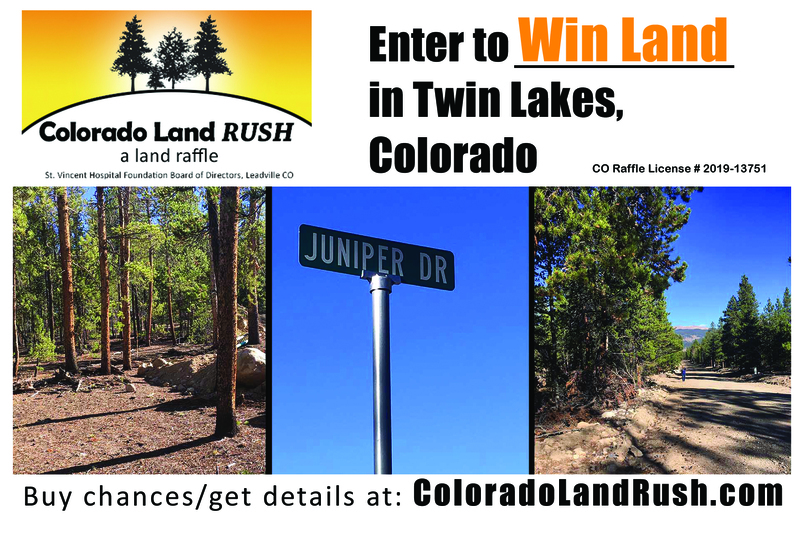 Enter our Land Raffle or get details. In 2019, we plan to raise $375,000 for a new CT Scanner for St. Vincent Hospital imaging department. This equipment will replace a scanner that has been a workhorse but has outlived its life expectancy. Your donation combines with grant funds to enable us to improve our facility and patient care. In 2018, the hospital and foundation have been awarded grants for a new ambulance, new laboratory and radiology equipment, a new clinic roof and other facility repairs. Each award is accompanied by a cash match. We work to raise the money for the match on every grant received. 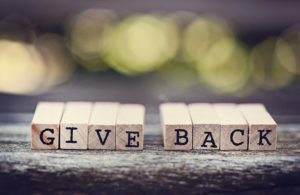 We wish to thank our funders: the Griswold Charitable Trust, El Pomar, Caring for Colorado, USDA Rural Facilities, DOLA Energy Impact Assistance Fund and CDPHE EMTS Provider Grant funds. We are also grateful to St. Vincent Hospital staff who donate to our team pledge fund, the hospital board of directors and our many other private donors. 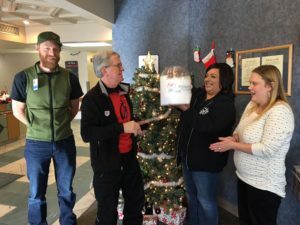 SEND A CHECK: If you prefer, you may mail your donation to SVH FOUNDATION at 822 W. 4th St. Leadville, CO 80461, or drop it off at the hospital. As a 501(c)(3) organization, we take pride in our mission of fundraising and strive to carry on our hospital’s history of caring since 1879. St. Vincent Hospital Foundation is a Central Colorado Enterprise Zone tax credit for contribution eligible project. This means that cash donations (that are $250 or greater) paid to the SVH Foundation are eligible for a state tax credit of 25% (12.5% for in-kind donations). 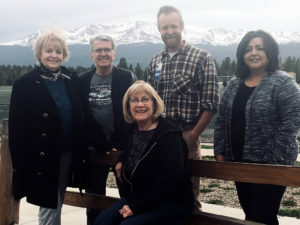 L-R Charlotte Rice, Member at Large; Bob Smith, Chairman; Corbin Logan, Secretary; Annette Medina, Treasurer; Marlene Eisenring, Vice-Chair, (Not pictured, Judy Allen and Eilleen Johnson). If you are interested in serving on the foundation board of directors please contact us.